Presents brief and comprehensive information addressing the requirements of undergraduates in an interesting and engaging manner. 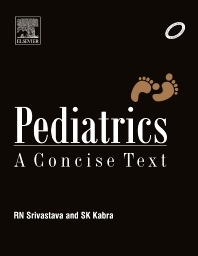 "Pediatrics: A Concise Text" presents brief and comprehensive information addressing the requirements of undergraduates. An enormous expansion of knowledge in various fields of medicine has imposed an increasing demand on medical students’ time with each subject expected to be understood and known in depth. Pediatrics is now an independent subject and separately assessed in examinations. The student must know the fundamentals of Pediatrics and child health as well as have a thorough knowledge of important diseases of children. The present book specifically considers these aspects with emphasis on the topic not well-covered in textbooks of internal medicine. The problems more commonly encountered in developing countries such as neonatal disorders, growth and development, nutritional deficiencies, preventive diseases, and infections are discussed in detail. Each chapter contains a set of "Key Points", meant to assist quick recall of important information. Additional Professor, Pediatric Pulmonology Division, Department of Pediatrics, All India Institute of Medical Sciences, Delhi.